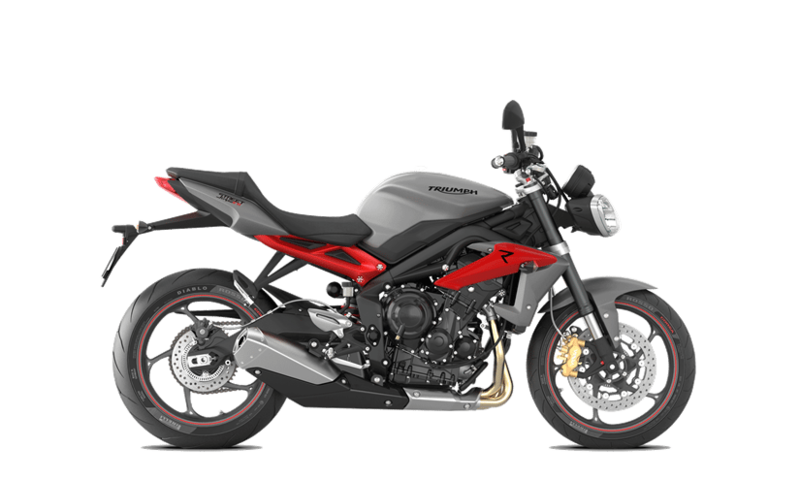 Street Triple R is a stylish and distinctive statement of Triumph’s past, present and future. A genuine icon, beautifully evolved. Traction Control built into Riding Modes (not switchable to off). Suspension: Non-adjustable Showa 41mm fork with preload-adjustably monoshock out back. Tires: Pirelli Diablo Rosso Corsa. 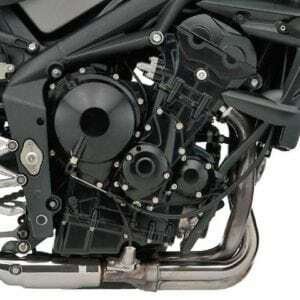 Smooth and torquey 107 bhp 675cc three cylinder engine. 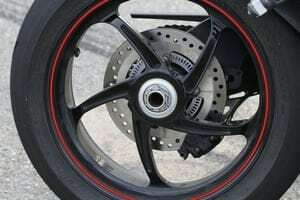 Powerful four-piston Nissin radial calipers and radial master cylinder front brakes . The 2017 Triumph Street Triple motorcycles are about 4.5 lbs lighter than the outgoing 2016 model, and arrive with more aggressive styling, including the Speed Triple’s “nose-down” attitude; ride-by-wire throttle with up to five riding modes on the RS; a gullwing rear swingarm; higher-spec suspension and brakes; and 5” TFT instrument panels.